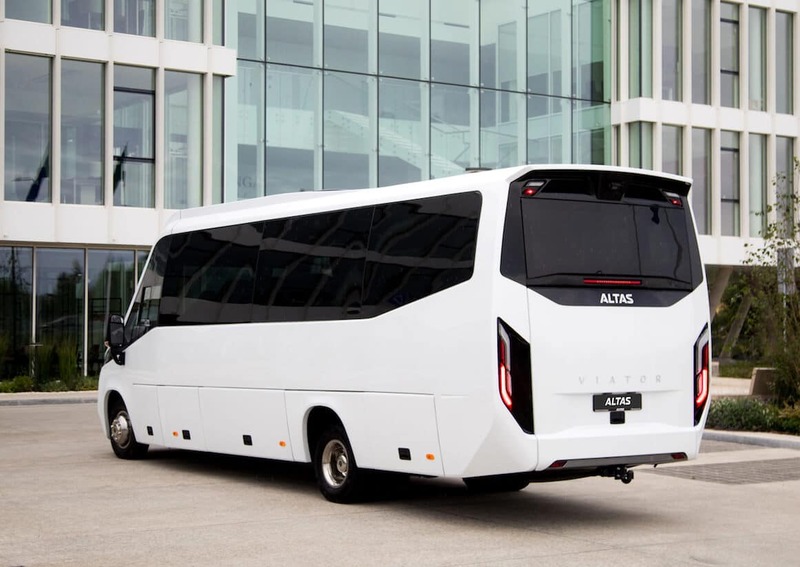 One of Europe’s largest small bus manufacturers, ALTAS Commercial Transport, based in Lithuania, has created the first passenger midibus – the ALTAS Viator. In September, the midibus is presented in Lithuania and at a major exhibition for the commercial transport sector in Germany, the IAA 2018 (German Internationale Automobil-Ausstellung), which takes place on September 20-27 in Hannover. ALTAS Commercial Transport cooperates with world-class car manufacturers, including Mercedes-Benz, Volkswagen, MAN and Iveco. ”When Lithuania decided to begin manufacturing components for vehicles, the foreign experts were sceptical. Today, even the largest automotive component manufacturers are establishing facilities in the country, and the Lithuanian companies have begun developing not only electric motors and future technologies for self-propelled vehicles, but also fully-equipped passenger buses. The potential of the specialists in the country is much higher than the international industry experts expected. These market-leading products created by Lithuanian brands will undoubtedly boost the reputation and confidence in the country’s automotive industry,” said the Lithuanian Minister of Economy, Virginijus Sinkevičius. The Lithuanian midibus introduced by ALTAS Commercial Transport can carry 30 people at a time. It is the first tourist midibus of this type to be developed in Lithuania with regards to the design and construction. Production of the midibus is scheduled to begin in the first quarter of next year, and the full production capacity of up to 200 of these midibuses a year will begin in 2020. “For more than 15 years, we have been working within the European markets and we have seen that more midi-sized buses are in demand, besides the minibuses we already manufacture. Our customers in different countries have asked for such a product, and with this midibus we will fill a gap in the existing range of small and medium buses. After listening to the responses from the first commercial midibus from the ALTAS brand, we are convinced that this will be a product that is highly sought after across Europe. We are, and will remain partners, with the major European automobile manufacturers, but we also plan to continue creating unique, Lithuanian products,” said Edvardas Radzevičius, General Manager of ALTAS Commercial Transport. In addition to the tourist version of the ALTAS Viator midibus, the production of urban midibuses, as well as suburban and city school midibuses is planned to start this year. In 2020, ALTAS Commercial Transport plans to deliver midibuses to the UK and Ireland for the traffic system with a steering wheel on the right. 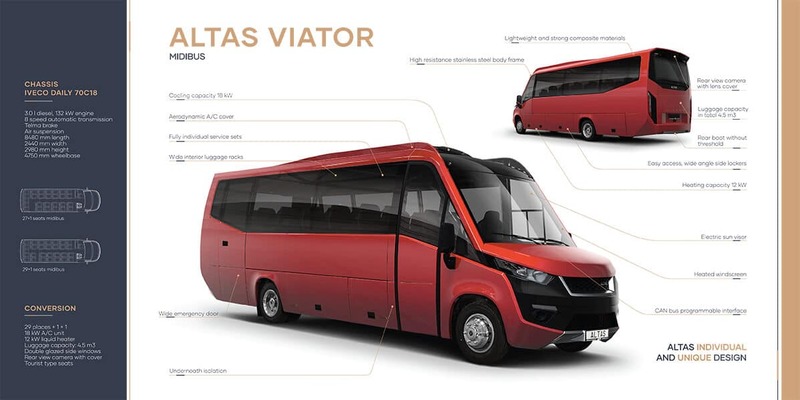 By developing this midibus, ALTAS Commercial Transport has adapted the knowledge and experiences the company gained by working with Scandinavian and Western European companies, and the resulting vehicle complies with the best practices and standards. 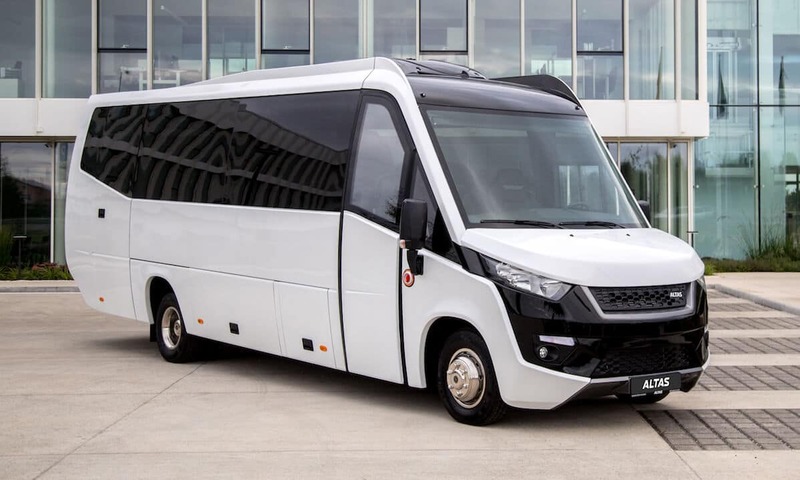 The new ALTAS Viator is a European medium-sized tourist class bus with a length of 8.44 m, a total weight of 7.2 tonnes, and a luggage capacity of 4.5 cubic metres. The engineering solutions and design were developed in Lithuania, and the parts and components were chosen from the best suppliers in the global automotive industry. 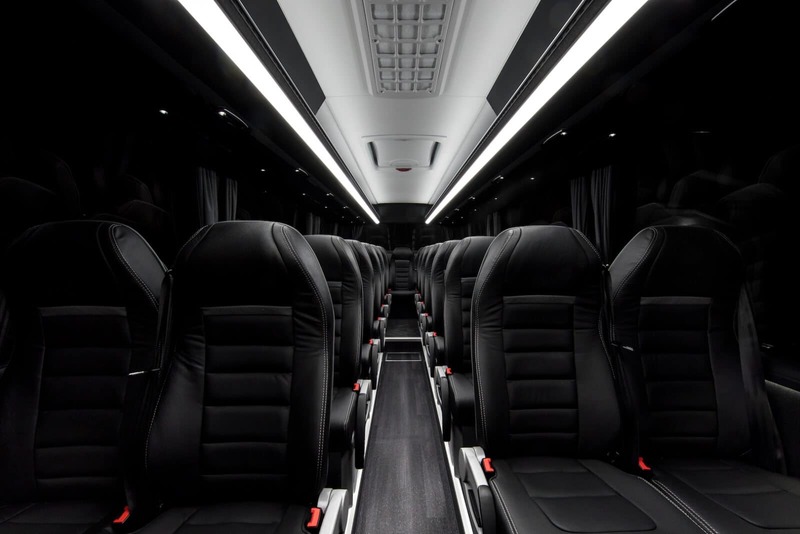 The bus frame is made of a special Finnish stainless steel, while modern composite materials that are light and feature good heat and noise insulation are used for the exterior and interior decoration. 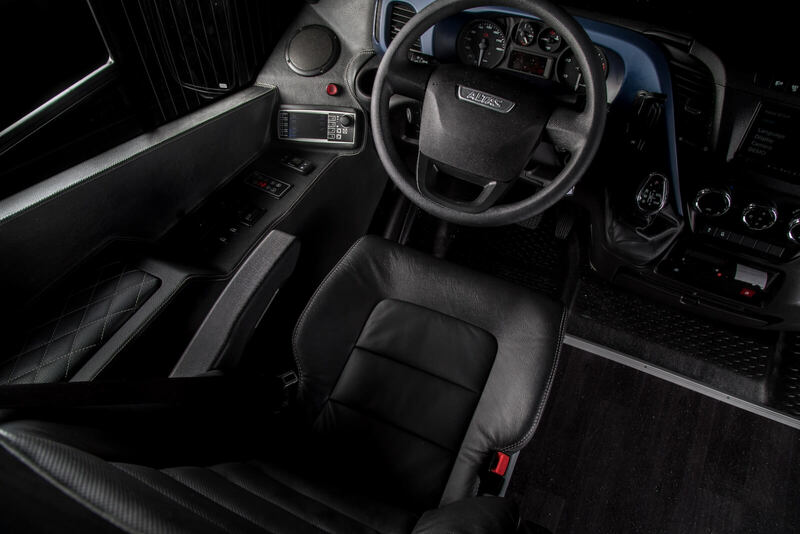 The vehicle is fitted with an Iveco 70C18 chassis, and it has a 3-litre diesel engine with an 8-speed automatic gearbox. “Lithuanian engineering companies not only have the capacity to provide services to foreign customers and to produce parts and components according to the blueprints, but also have the knowledge and engineering competencies necessary for the development, design and production of their own final product, which in terms of its technical and operational qualities matches similar products that are manufactured abroad. This is the result of long and consistent work,” commented Darius Lasionis, Head of the Lithuanian Engineering Industry Association (LINPRA) Export Manager and Head of the Baltic Vehicle Detail Cluster. According to D. Lasionis, the creation and production of this final product is the most important stage in the company’s development, as it demonstrates the company’s maturity and engineering competence. “The Lithuanian engineering industry is one of the most important sectors of the manufacturing industry, and it has the greatest potential for future growth. In Lithuania, the engineering industry is advancing and growing due to the recovery of the European industry, and the fact is that more and more European countries are discovering and recognising Lithuania as a country with great potential for engineering companies and the necessary competencies,” said D. Lasionis. Vadimas Ivanovas, Head of the Investigations and Analysis Department of Enterprise Lithuania, pointed out that exports of motor vehicles, semi-trailers, trailers and their various parts made in Lithuania have been growing for several years: from 2012 to 2017, exports of Lithuanian goods increased by 2.7 times or almost 30% annually, on average. According to LINPRA, the engineering industry is a sector whose turnover in Lithuania reached EUR 3.8 billion in 2017 (18 percent more than in 2016) and it is an important part of the entire manufacturing industry (the manufacturing industry accounts for 20-23 percent of the total domestic product each year). More than 70 percent of the engineering products are exported, and in 2017, the export volume increased by 24 percent when compared with 2016. The Lithuanian engineering industry sector employs about 46 thousand people.